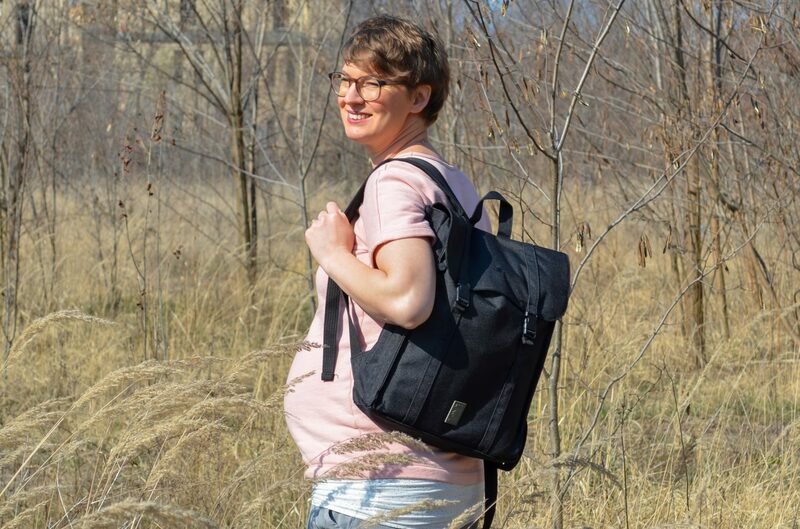 After quite some frustration with the backpacks my husband and I have been wearing in the past few years, I was looking for an eco friendly, sustainable, and ethically made backpack – for myself and my husband… today’s post is about what I found! 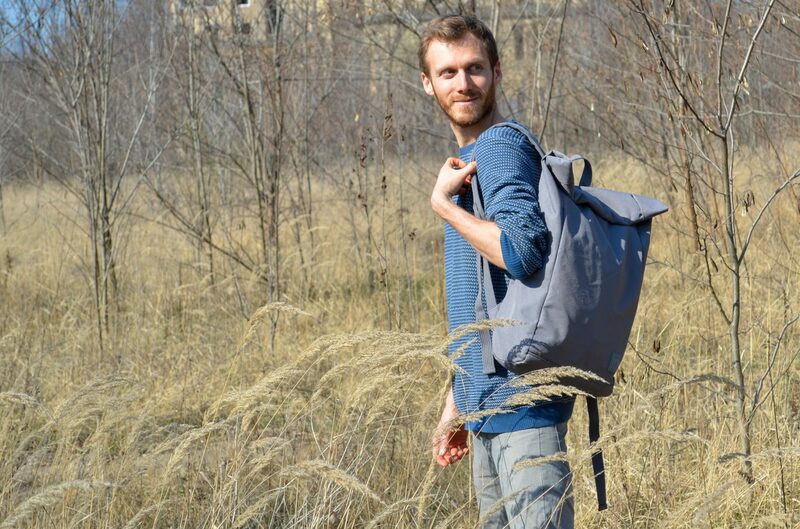 I had to do a little bit of research to be honest; because it is not that easy to find a backpack that is made under fair conditions, from sustainable materials, from a label that shares the same values like me, and that is long lasting (or at least seems to be). 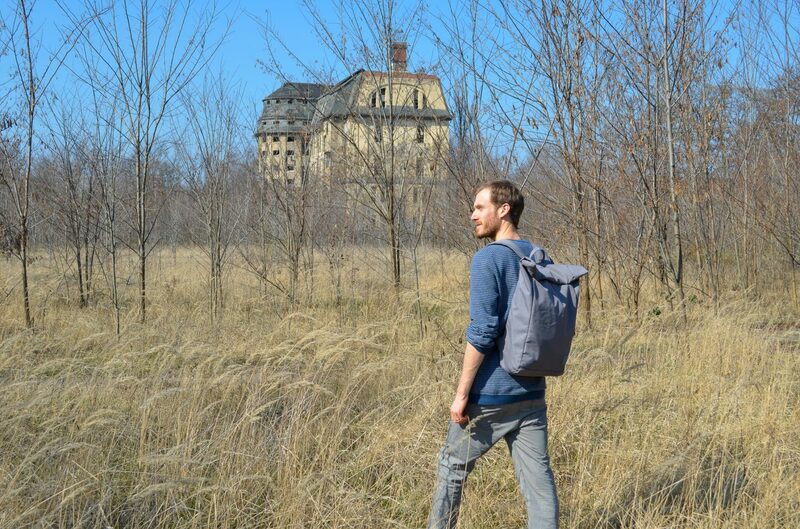 I was looking at cotton back bags – not durable enough (our last ones were made out of cotton and lastest for only three years). 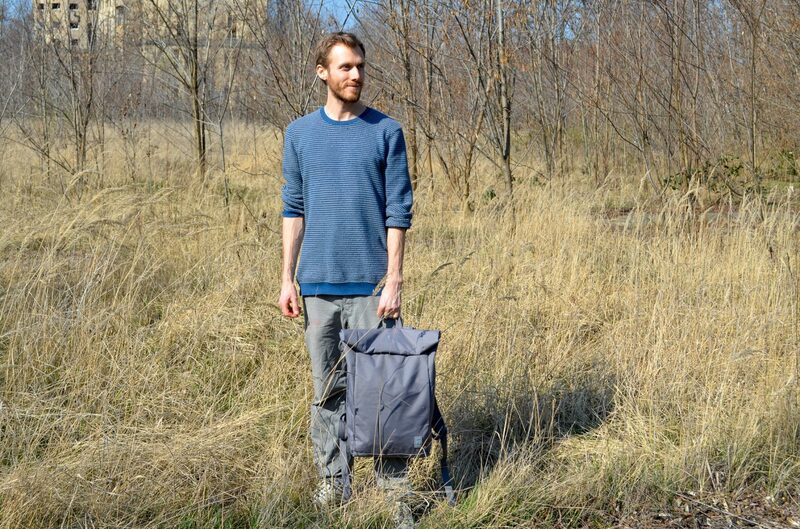 I was looking at leather bags – not sustainable enough (animal production is one of the driving forces of climate change). I was looking at vegan leather bags – not durable enough and not sustainable enough (I have two that both begin to fall apart after three, respectively two years). And finally I found Lefrik! 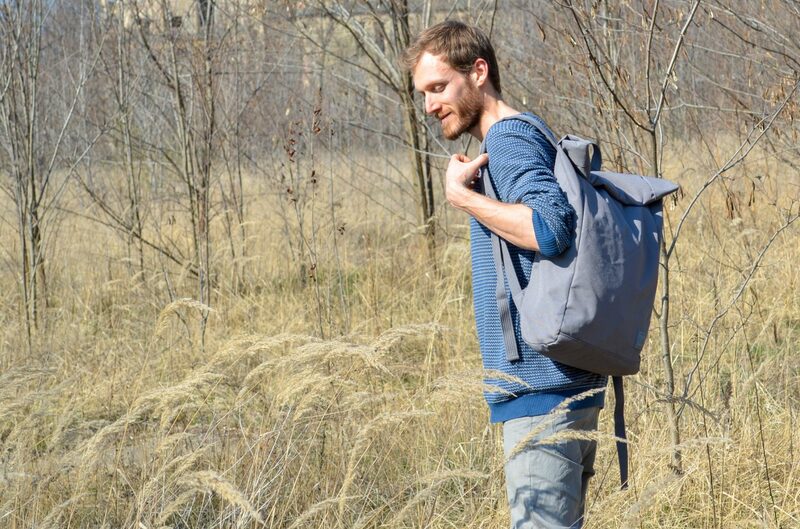 Established in 2012, Lefrik is designing urban bags, backpacks and travel essentials using the highest quality eco-friendly fabrics made out of recycled plastic PET bottles. The recycled material is very durable, water resistant, and easy to use for all shapes and sizes. Also, by using recycled PET, Lefrik contributes to the environment by reducing the use of virgin polyester and rather extending the life of discarded plastic bottles – all while saving energy in the production process. Since the bags are made of recycled PET, they are all vegan too. So, I will be honest – there are quite a few labels out there using recycled PET, however, they aren’t all fair and ethical! You may have heard that Matt and Nat isn’t as transparent as we might have thought for a long time!? The working conditions in their factories aren’t quite as good as the label sometimes may want you think (there is an article about this issue here) so when I first visited the Lefrik website I was sceptical at first! However, even though the products are designed in Spain and manufactured in Asia, Lefrik is sticking to the Fair Wear conduct. Lefrik produces their products in Asia because they (claim to) have the best techniques in making polyester out of recycled plastic PET bottles. So Lefrik follows the list of recommendations from the FAIR WEAR FOUNDATION, which includes between others to work with a limited number of factories and try to develop strong long term working relationships, to visit the factories and conduct inspections with a health and safety checklist, to make sure that if issues are found in a factory they source from, to work with the factory to remediate and make improvements rather than ceasing production. 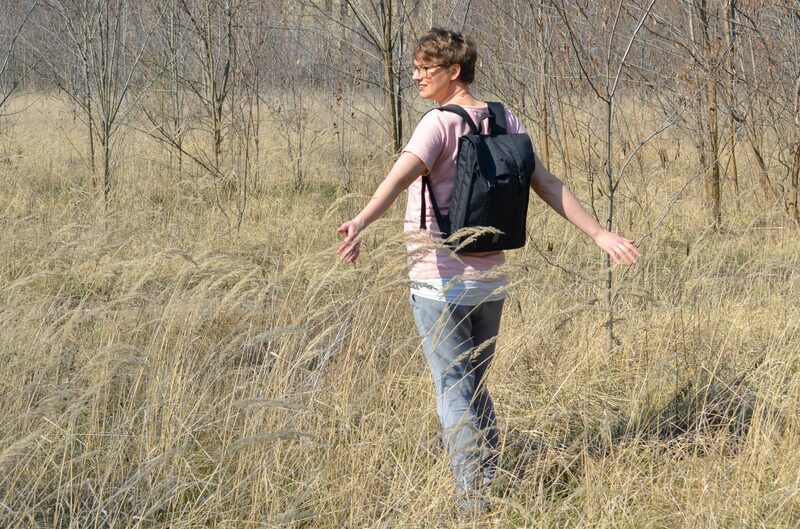 After wearing other fair trade back packs in the past few years, we were SO thrilled by the comfort of the Lefrik bags! 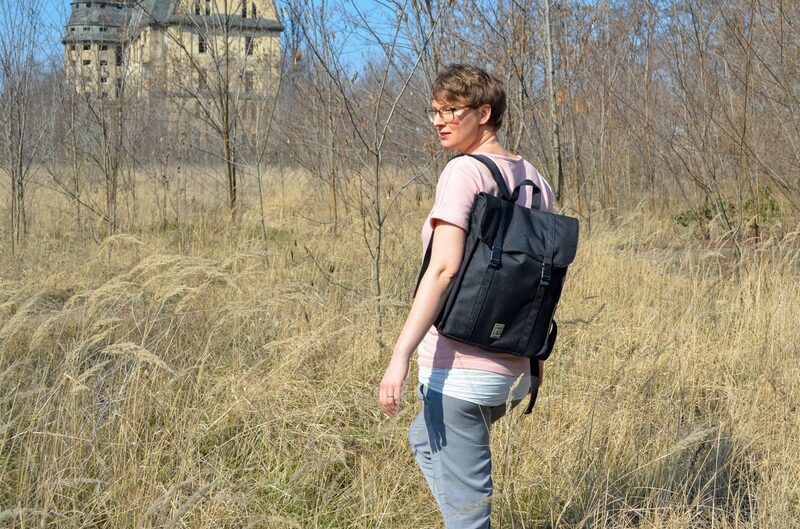 They have nicely padded shoulder straps, and are pretty perfect for both a day in the office or a hike in the woods! 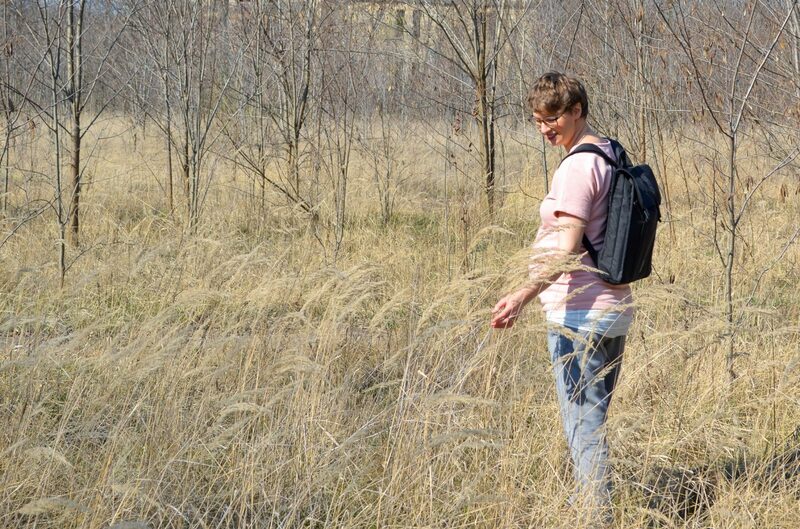 I am wearing the Handy Backpack here, and my husband is wearing the Roll Backpack. 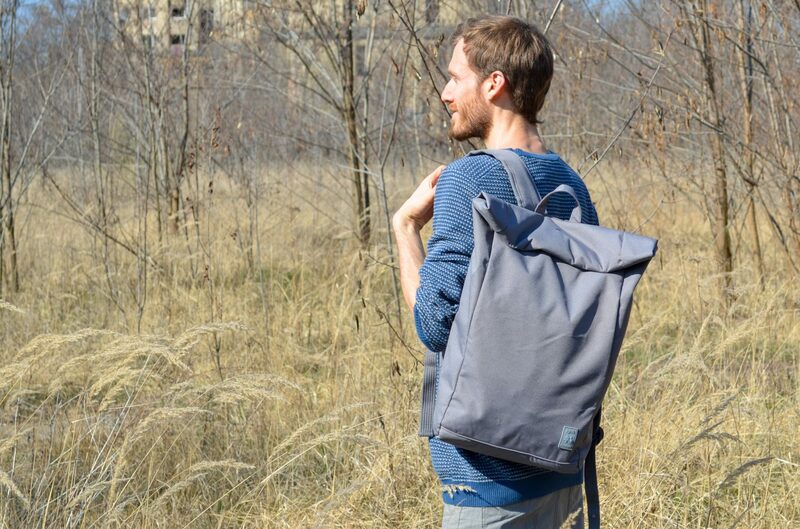 However, you can also find weekenders, bicycle bags, and more in the Lefrik online shop. Vorheriger Beitrag Three Juice Recipes for every Stage of Pregnancy: Rich in Nutrients and Mild in Taste! Nächster Beitrag 5 Pregnancy Hacks – To keep your Energy and Mood!